What is a Flagship Grant? The Ireland Funds Flagship Investments programme provides grants for core funding, capacity building or programme costs for non-profit organisations working within one of our key programme areas of Arts & Culture, Community Development, Education and Peace & Reconciliation. Our aim is to improve the quality and sustainability of existing programmes, or to help scale initiatives that are already having an impact. • In February, Grants Workshops were delivered in 7 locations across Ireland and the grants team were on hand to give advice on eligibility. • 283 letters of inquiry were received, up from 90 last year, and the initial review was completed internally by the Grants Team. • 25 organisations were invited to submit a full application and site visits conducted. • 10 finalists were selected based on the goals of the initiative, potential impact of the project, track record of achieving results, fit for the Funds and sustainability. • Each of the 10 organisations received Flagship pitch training advice and guidance in preparation for the final stage of the process. • On September 12th, 10 organisations pitched to 2 panels of interviewers. • 6 organisations have been selected as Flagship Awardees for 2018. Dogs for the Disabled improves the lives of children and adults living with physical disabilities in Ireland. Over the last eleven years, Dogs for the Disabled placed 160 highly trained Assistance Dogs in Partnerships nationally. Demand for their services is increasing and they currently have a 5-year waiting list. The Ireland Funds Flagship Grant will allow Dogs for the Disabled to scale up and increase their assistance/therapy dog programme by up to 30% over the next two years. The grant will support the breeding of an additional two litters of puppies each year, as well as help Dogs for the Disabled identify and grow their external programmes to assist in the delivery of this expansion. The Abbey Theatre is the national theatre of Ireland whose mission is to imaginatively engage with all of Irish society through the production of ambitious, courageous and new theatre in all its forms. The Ireland Funds Flagship investment will support the Abbey Theatre’s 5×5 Initiative for the next two years. Each year, The Abbey Theatre will invite citizens from all communities, particularly those who feel underrepresented on the Irish stage, to submit an idea or project that they want to develop. From these applications, they will choose 5 projects and provide them with 5 days’ worth of space, technical assistance and €5,000 to explore their ideas. Five projects from diverse communities and interests will be given the opportunity for their voice to be heard on Ireland’s national stage. As advocates of inclusiveness, diversity and equality, The Abbey is addressing the lack of diversity on national stages. Children in Crossfire was founded in 1996 by Richard Moore and its’ mission is to support children who are caught up in the crossfire of violence, poverty and injustice through development education. In 1972, as a 10-year-old child, Richard was blinded by a rubber bullet fired by a British soldier during the Troubles in Northern Ireland. Amazingly from childhood to the present day, he has accepted the loss of his sight without any feelings of resentment. The Ireland Funds Flagship Grant will be supporting the ‘Educating the Heart’ programme, instilling compassion, emotional awareness, critical thinking and reduced bias in 60,000 young people across Ireland. Sensational Kids was founded by Karen Leigh and was inspired by her son who was 1 in 4 children with additional needs in Ireland. He was put on waiting lists for basic services like speech & language therapy and occupational therapy. And so, Sensational Kids was established to provide subsidized early intervention services for young people with special educational needs. Ten years on, the problem persists as there are now 30,000 children in Ireland waiting for speech & language therapy and another 15,000 waiting for occupational therapy. To date over 5,000 children with additional needs, from all over Ireland, have benefited from Sensational Kids vital early intervention services based at their Leinster Centre in Kildare Town. Support from The Ireland Funds, will enable Sensational Kids to provide early intervention services to an additional 500-600 children per year in two new centres in Clonakilty and Claremorris, allowing them to triple their social impact. CyberSafeIreland is the Irish children’s charity for online safety. Since 2016, they have conducted workshops with over 14,000 children aged between 8 and 13 and thousands of parents and teachers, educating them on online safety and empowering them to use it safely and responsibly. CyberSafeIreland have collected data from over 5,000 children aged 8 – 13 over the last year and alarming results have shown that that children are getting online at an increasingly young age. Support from The Ireland Funds will allow CyberSafeIreland to hire an Education Officer for the next 2 years. Through increased education programmes, awareness raising initiatives and online resources, CyberSafeIreland aim to reach 500,000 families across Ireland and teach them to be stronger, smarter and safer online. Trinity Centre for People with Intellectual Disabilities (TCPID) aims to promote the inclusion of people with intellectual disabilities in education and society. TCPID provides people who have intellectual disabilities with the opportunity to participate in a higher education programme designed to enhance their capacity to fully participate in society as independent adults. Flagship support from The Ireland Funds will allow TCPID to develop a Graduate Internship Programme, extending on the two-year certificate (Level 5, QQI) in Arts, Science and Inclusive Applied Practice in TCD to include a third year of employment internship experiences. This will ultimately enable people with intellectual disabilities to compete for employment on a more equal level to their non-disabled peers and, as a result, to lead more independent lives. 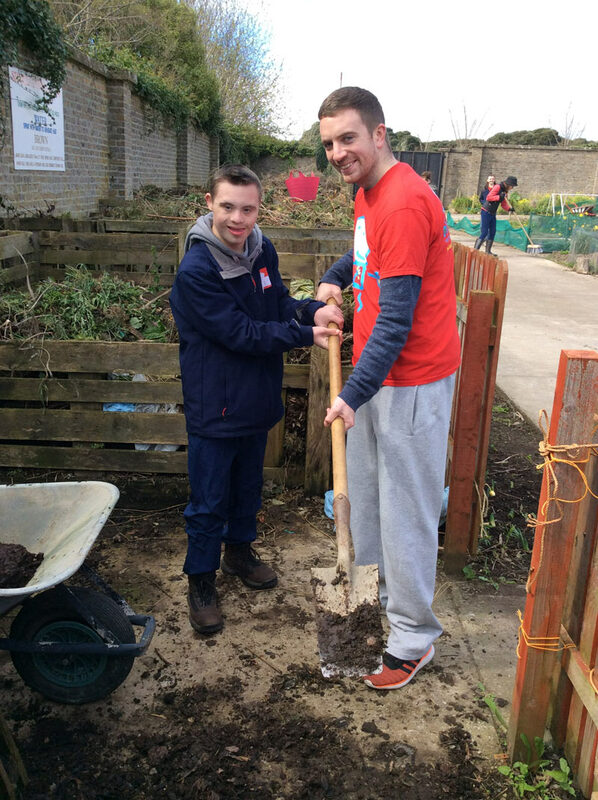 Blossom Ireland works with children with intellectual disabilities aged 8 to 18 years and their families through fun, affordable, innovative, inclusive activities. Based in Dublin, they provide therapy-led camps and after school activities, including life skills and social skills programmes. The Ireland Funds’ Flagship Grant will allow Blossom Ireland to roll out Blossom Gateway, a community and employment engagement programme for teens aged 16-18 with mild to moderate intellectual disabilities. This programme will allow teens to gain practical experience and invaluable life skills to support them as they enter adulthood. The Ireland Funds have been proud supporters of Integrated Education for more than 30 years. 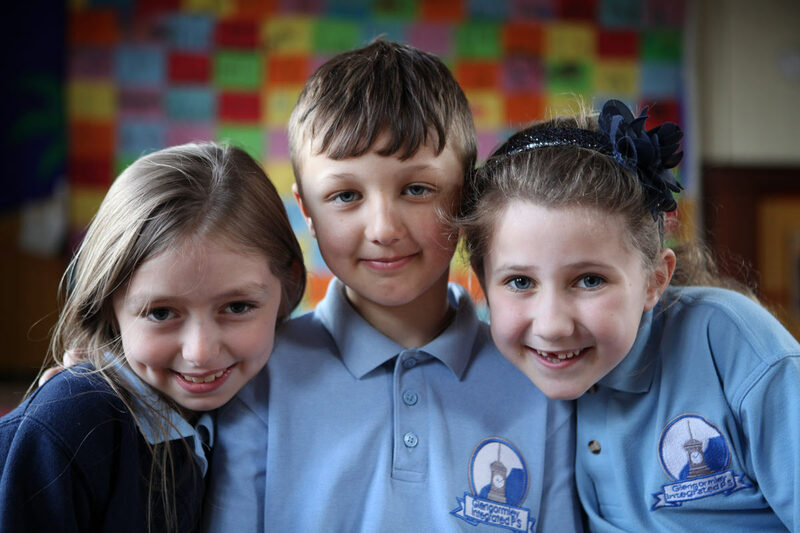 Integrated schools educate children of all faiths and cultural backgrounds together in Northern Ireland to instil qualities of respect, tolerance and conflict resolution. The Integrated Education Fund (IEF) is a significant financial support to the establishment of new schools, the growth of existing schools and those schools seeking to become integrated through what is known as the ‘transformation’ process. Integrate My School is a campaign spearheaded by IEF to empower parents who want their child’s school to become integrated. IntegrateMySchool.com provides a digital platform for registration promotes transformation and steers those schools who wish to pursue it. The Ireland Funds’ Flagship Grant will enable the Integrate My School campaign to make transformation accessible, understandable and achievable in NI. 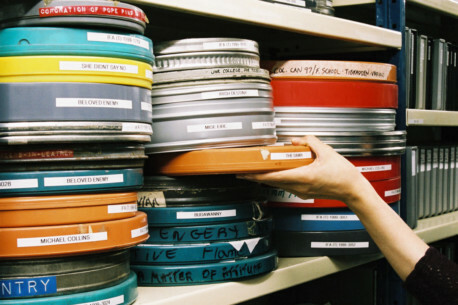 The Irish Film Institute (IFI) is Ireland’s national cultural institution for film, comprising three core activities: Exhibit, Preserve and Educate. The Ireland Funds’ Flagship Grant will enable the IFI to undertake a major cultural, heritage preservation and access project – known as the IFI Digital Preservation and Access Strategy. The key aim of this project is to save critically at-risk material of culturally-significant documentary films spanning three decades, and making them freely available to view on the online IFI Player for a worldwide audience. The Ireland Funds is committed to joining the IFI in its’ mission to preserve the past for the future generations to come. The Irish Men’s Sheds Association (IMSA) is a community-based, non-profit, space for men of all ages to gather in a friendly environment where they can work on interesting projects – all with the goal of reducing social isolation, enhancing community cohesion and improving the health and wellbeing of men throughout Ireland. 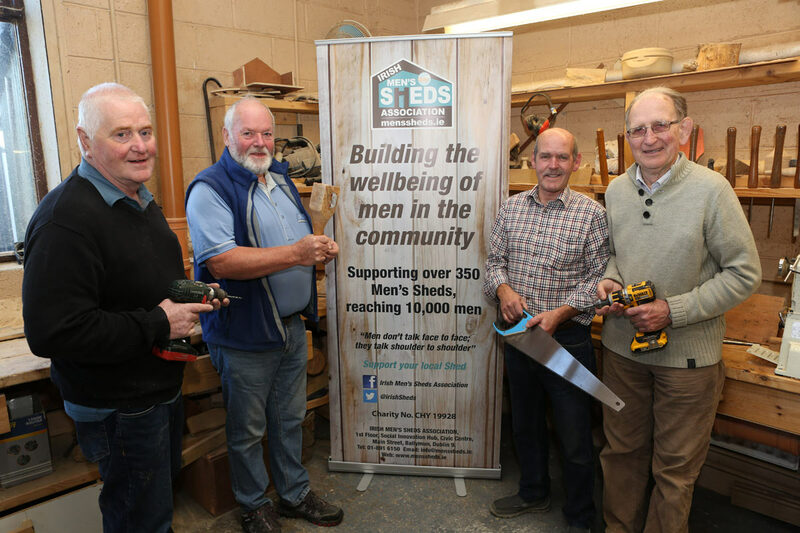 The Ireland Funds’ Flagship Grant will support the Irish Men’s Sheds Association as it implements a Shed Support Programme, which will allow it to better support the growing network of 440+ Men’s Sheds throughout Ireland. Through this support, the implementation of a National Volunteer Programme will see some 40 volunteers engaged and trained to liaise directly between sheds and IMSA’s head office. Speedpak Group is a social enterprise which was set up in 1995 in response to high long-term unemployment in disadvantaged communities. Speedpak provides a bridge to employment through accredited training and commercial work experience. The Ireland Funds’ Flagship Grant will support the work of Speedpak to develop an Enhanced Skills Traineeship Programme targeted at logistics/manufacturing for young people Not in Employment, Education or Training (NEETs) to bring them from a low education and work experience base to quality employment. FoodCloud Hubs reduces food waste by matching surplus with scarcity. FoodCloud technologies allow retailers to announce to local charities when they have surplus food that can be collected. 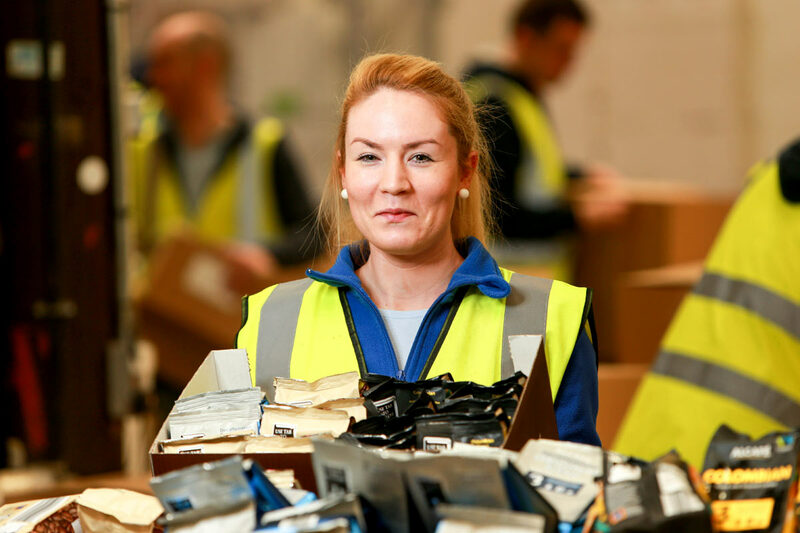 The FoodCloud hubs are warehouses in Cork, Dublin and Galway, from which non-profits can purchase items with a longer shelf life in bulk. The Ireland Funds have committed €90k over two years to this initiative and will be supporting FoodCloud Hubs to secure more retail partners. These partners will provide additional food for non-profit organisations and help FoodCloud on its path to becoming fully self-sustaining. Charities Institute Ireland is the new entity formed from the merger of ICTR and Fundraising Ireland. Its aim is to create the conditions for a vibrant, transparent and effective charities sector. The Ireland Funds’ investment will support CII in completing its targeted membership drive, producing current and relevant marketing materials about the sector in Ireland and covering the cost of developing a world-class training program on topics like financial reporting, governance, fundraising and communication. We are proud to support CII with an investment of €78k over two years. Grow it Yourself (GIY) piloted the concept of Cottage Markets in 2015. Cottage Markets provide opportunities for people in both urban and rural communities to trade and socialize; they make a positive contribution to the local economy by supporting micro-enterprises, with community members selling crafts, baked goods, produce and other items. The Ireland Funds have committed €60k over two years to roll out Cottage Markets in small towns and rural villages in Ireland and Northern Ireland. Specialisterne Ireland is a social enterprise that works to assess adults with autism spectrum disorder (ASD) with a view to securing employment for those who are work ready. In Ireland, there are over 17,600 adults of working age with ASD, of which 85% are unemployed. More than 60% of these adults have a third-level qualification but need support to obtain and retain employment. The Ireland Funds have committed €78k over two years to ensure that more adults are assessed and more companies are recruited. The Washington-Ireland Program for Service and Leadership is a six-month program of personal and professional development that brings outstanding university students from Northern Ireland and the Republic of Ireland to Washington, DC for summer work placements and leadership training. More than 450 students to date have gained invaluable practical experience by completing internships in US government, media, business and non-profit organizations. The Ireland Funds have committed £60k to allow WIP to expand its service learning program with an additional two weeks in New York. Developing relationships with supporters in the New York area will allow WIP to recruit more candidates with an interest in business, further diversifying its portfolio of participants and extending its impact into other sectors.